We believe that at the heart of every rider is an adventurer, ready to seek out new roads, regardless of whether they’re paved or not. And for this reason, we created a bike that’s built to handle anything. 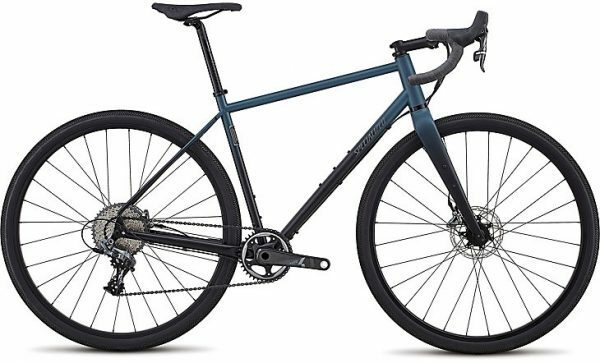 The Sequoia Expert eliminates the need to choose from a dedicated touring rig or a road bike, instead combining the two in a single, genre-shattering bike. Digging into the details, the frame is outfitted with an ample number of mounts for water, racks, and fenders. 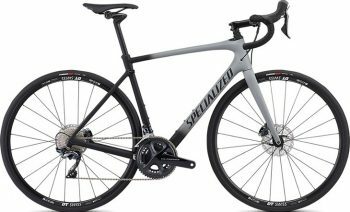 And for the build, we included reliable parts, like a SRAM Force 1 groupset, powerful hydraulic disc brakes, and hand-built Cruzero wheels that are cased in wide, 2Bliss Ready tires. The Sequoia is built from our Premium Cr-Mo, size-specific tubing. This ensures that every frame is strong, light, and capable, while every frame size rides exactly as we intended. This philosophy is furthered with our Adventure Geometry that provides ample confidence over rough and smooth terrain, alike. And lastly, we equipped this frame with fender & rack mounts to make sure you’ll be well equipped whenever adventure strikes. A beefy FACT carbon fiber fork is sure to take the sting out of harsh roads. And when you’re deep into said roads, you’ll be thankful for the extra water bottle mount found on its fork leg. Hand-built Adventure Gear Cruzero wheels are cased in 700x42mm 2Bliss Ready tires to be tough, strong, and fast rolling. It’s the ideal wheelset for anyone looking to skip town at speed.